At Lindera Farms, we take locally and sustainably sourced agricultural products of pristine quality, and ferment them into wines which we then age into vinegar. 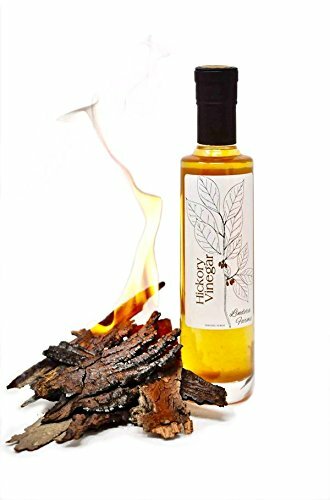 This makes for a robust, versatile vinegar with chefs, bartenders, home cooks, and health conscious individuals in mind. The process for making the vinegar is a combination of traditional wine-making practices and modern culinary techniques. First, we do everything ourselves starting at the very beginning of the process when, we forage berries, flowers, roots and herbs, bring in produce from small, local farms, and combine them with honey or molasses to turn them into an intense, flavorful wine. We then slowly ferment that into a vinegar; we don’t just add alcohol to a finished juice, nor do we blend ingredients into a finished vinegar. The process is more laborious and takes much longer. However after allowing the vinegar to age enough for the acids to soften (not a practice used in the factory-produced vinegars and balsamic most of us are used to) the resulting vinegar is richer, more aromatic, and more flavorful than any vinegar you’ve tried before. Tasting Notes: Woody, Smoky, Complex. Notes of Hickory, Maple, Charcoal, Smoke, Brown Sugar, Honey. Kitchen Pairings: Great for finishing Barbeque, Grilled Vegetables, Meat/Game, Poultry, Fish, grilled/roasted fruits too. Bar Pairings: Scotch, Bourbon, Mezcal, Tequila, Whiskey, basically anything that can pair to maple and/or smoke will be great here. If you have any questions about this product by Lindera Farms, contact us by completing and submitting the form below. If you are looking for a specif part number, please include it with your message. Bragg Organic ACV/Honey Apple Cider Vinegar Drink, 16 Ounce - 12 per case.